Cluster seating is a unique way to add extra seating to any floor space. 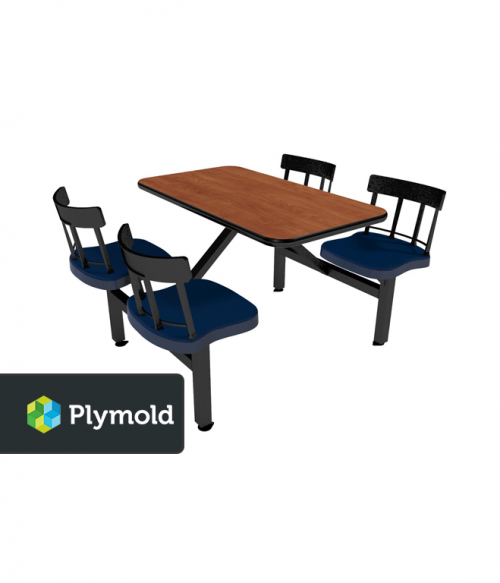 At Factory Equipment, we are proud to represent the top brands in this category of facility furniture, including Plymold. Options such as the Cebra Style cluster seating unit allows you to provide up to 6 individual seats for people at a single connected table. For a space that is more compact, the Jupiter Sytle cluster seating unit may be a better option, allowing seating for 4 comfortably. Not only is cluster seating economically priced for restaurants, bars, and other commercial settings, but they are also extremely easy to maintain. Each surface is laminated or protectively coated so that a simple wipe down is all that is often required to clean the table and chairs. This allows for a faster turnover of customers or lower levels of downtime when break rooms need to be maintained. Cluster seating might seem like an impersonal style of facility furniture, but it is far from it. Not everyone likes to scrunch into a booth and be in the close personal quarters of others. Individuals with different body shapes can also seat themselves comfortably in cluster seating compared to many all-in-one booth options. By understanding your customer or personnel demographics and dynamics, you can choose an affordable and durable seating system that meets your needs immediately. Cluster seating from Factory Equipment also adds to personal atmosphere of a table. People can choose to sit on their own or directly across from someone, creating the most comfortable social atmosphere possible at that given moment. 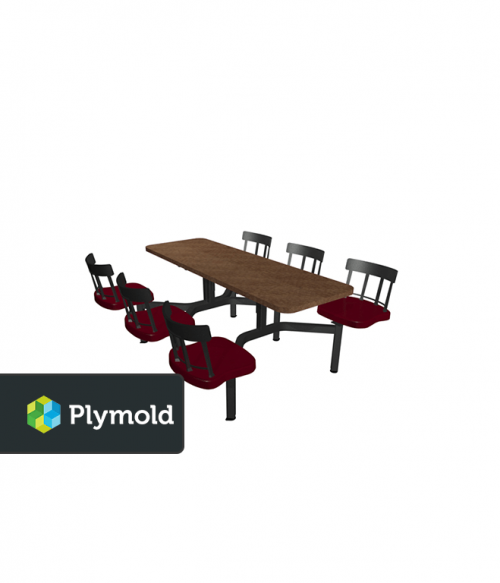 If you’re ready to expand your seating arrangements for any reason, then the usability of your space will dramatically improve when cluster seating is included. Let us know what your needs happen to be and we’ll be happy to find the best possible style for your environment.